Big blues names hit the Holland Performing Arts Center next Wednesday, Feb. 6, 7:30 p.m., to turn the place into a rockin’ juke joint in honor of two extremely influential bluesmen: Muddy Waters and Howlin’ Wolf. 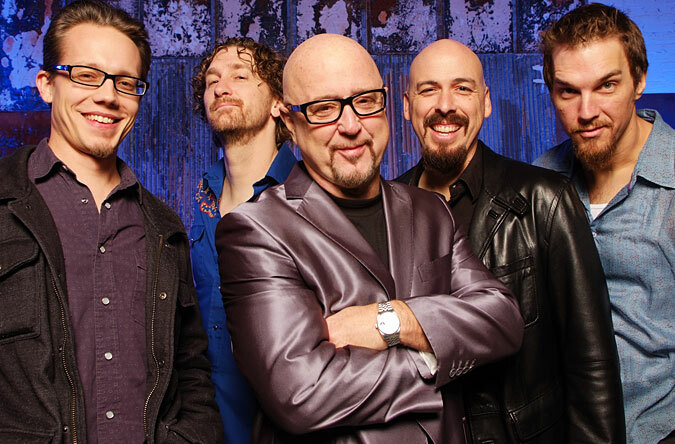 The tribute, touring as Blues at the Crossroads 2, is anchored by The Fabulous Thunderbirds. Fronted by founding member Kim Wilson on vocals and harmonica, The Fabulous Thunderbirds’ current lineup is Mike Keller, Johnny Moeller, Jason Moeller and Randy Bermudes. The T-Birds drop a new CD, On the Verge (Severn) in March. The band backs the other the artists on the bill. Popular contemporary blues guitarist Tinsley Ellis has replaced J.J. Grey on this leg of the tour. James Cotton, Jody Williams and Bob Margolin will also perform. Chicago blues legend James Cotton is a local audience favorite, appearing many times through the years at Lincoln’s Zoo Bar and other local venues. Cotton is a Grammy Award winner who went from the Mississippi fields to Memphis’ Beale Street to Chicago where he often subbed for Little Walter before showing his own style on Muddy Waters’ recordings “Sugar Sweet” and “Close to You.” Cotton was in Muddy’s band until 1966 when he left for his own solo career. You may not know Jody Williams’ name, but he is credited as “the first great stringbender on the Chicago scene,” according to journalist Bill Dahl. Williams influenced Otis Rush and Buddy Guy. Williams was an in-demand session guitarist in 1950s’ Chicago, contributing to some of the greatest blues cuts ever made, including Bo Diddley’s “Who Do You Love,” Howlin’ Wolf’s “Forty-Four” and Billy Boy Arnold’s “I Wish You Would.” Williams “Lindy Lou” (Chess/Argo) inspired Otis Rush’s intro for “All Your Love (I Miss Lovin’)” (Cobra). After taking over 30 years off from the music, Williams returned in 2002 and has been going strong ever since. Bob Margolin is an accomplished guitarist who played in Muddy Waters’ band in the 1970s. Margolin also writes for Blues Revue magazine and recently completed an ebook, “Steady Rollin’,” about his years rubbing elbows with some of the greats. For more background visit tedkurland.com/artists/blues-crossroads. For tickets see ticketomaha.org. Texas roots-Americana singer-songwriter Randy McAllister hits the stage at The 21st Saloon Thursday, Jan. 31, 5:30 p.m. Australian harmonica player Harper is at The 21st Thursday, Feb. 7. Runny Nose Pete brings gutbucket blues to The Zoo Bar Friday, Feb. 1, 9 p.m. with some Lincoln friends joining the fray.